Coordinators of Arsari Communities went to Nepal and Bhutan on September 2013 to visit Tarayana Foundation and Maiti Nepal. Hasan Azhary (coordinator for Arsari Penjaringan Community) and Sophan Ajie (coordinator for Arsari Arjasari Community) visited Tarayana Foundation in Timphu (Bhutan), whilst Adi Hermawan (coordinator for Arsari Kali Bekasi Community) and Ricardo Hutahaean (coordinator for Arsari Kampung Beting Community) visited Maiti Nepal. The purpose of the said visits is to exchange ideas and to strengthen the partnership between Arsari communities and the two foundations. Azhary and Sophan managed to visit the communities in Samthang and Tuksa Chu located in highland areas, by travelling on foot, riding horses and even using a tractor. Adi and Ricardo visited some places including Sonja Kill Hospice, a place for human trafficking survivors, in Gokarna, Kathmandu; Nawalprasi Prevention Home, Musahar Tole and Transit Home Mahespur. They also managed to participate in a door-to-door awareness campaign program in some villages. 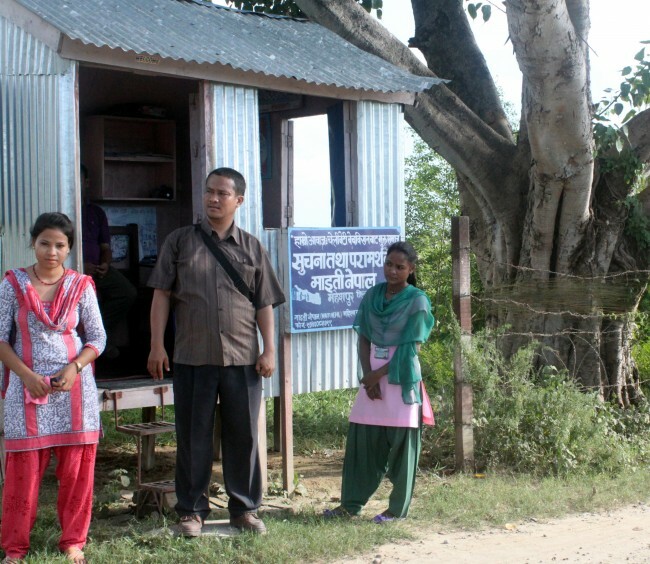 They also had the chance to visit the border crossing between Nepal and India to directly observe Maiti Nepal activists monitor human trafficking practices in the area. Both visits, which lasted 10 days each, were initiated and sponsored by the Wadah Foundation.